On October 23, 2015, in the criminal case of United States v. Dmytro Patiutka, the Fourth Circuit issued a published opinion affirming the district court’s grant of Defendant Dmytro Patiutka’s motion to suppress evidence. In this case, the Fourth Circuit answered the United States of America’s interlocutory appeal to the district court’s ruling arguing in the alternative that the search was either incident to an arrest or fell within the Fourth Amendment’s warrant requirement automobile exception. Once Patiutka began to walk to his car, the trooper asked if he could search Patiutka’s car, which the trooper believes he received consent for, and signaled to other troopers to begin searching the car. One trooper found a bag containing a credit card reader and a suitcase containing four unopened iPads. Patiutka asked the trooper who had stopped him why his car was being searched. The trooper responded that Patiutka consented. Patiutka asked for them to stop. Then, when another trooper announce Patiutka was under investigative detention, the first trooper put handcuffs on Patiutka and took him back to the patrol car. The troopers then found a credit card embosser, credit card re-encoder, and blank credit cards. At the end of the search, a trooper transported Patiutka to the state police station and read him his Miranda rights. He was questioned at the station and made incriminating statements. On January 13, 2014, the Government filed a criminal complaint against Patiutka, charging him with access device fraud and aggravated identity theft. On March 20, 2014, a grand jury indicted Patiutka. Patiutka moved to suppress the physical evidence found in his car as well as all statements and evidence that flowed from the warrantless search. 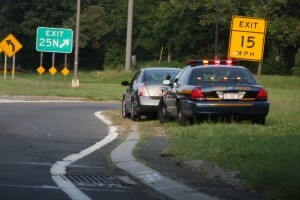 The Government claimed that the statements and evidence were admissible under the vehicle exceptions to the Fourth Amendment’s warrant requirement. The district court wholly rejected the Government’s assertions. The Government then filed an interlocutory appeal. The Fourth Circuit reviewed the district court’s legal determinations underlying the grant of the motion to suppress evidence de novo and the factual findings for clear error. The Fourth Amendment protects people from unreasonable searches and seizures. Warrantless searchers are presumed unreasonable except in a limited number of cases. The Government argued that the warrantless search was reasonable for two reasons in the alterative: either the search was incident to Patiutka’s arrest or the search fell within the automobile exception. Officers may search a vehicle if the arrestee is near the car or it is reasonable to believe there is evidence incident to the arrest near the car. If the search begins before arrest, officers must have probable cause to arrest prior to the search. The Government contends that the officers had probable cause because Patiutka gave false identity information, but the Fourth Circuit did not find this persuasive because the district court found the officer did not have cause to arrest Patiutka before the search based on the evidence provided. Because the officers did not have cause to arrest Patiutka for any reason when they continued the search without Patiutka’s consent, the incident to arrest exception cannot apply and the search violated the Fourth Amendment. Officers may search a vehicle if they have probable cause it contains evidence of any criminal activity. The district court found that when the officers only found a credit card reader and suitcase with new iPads, this was not enough to provide a basis for probable cause after Patiutka withdrew consent. The officers should have questioned Patiutka about the contents found during the consensual search. Because the officers had no probable cause to search, the automobile exception cannot apply and the search violated the Fourth Amendment. The Government argued that the collective-knowledge doctrine gave the searching officers probable cause to search the car. The collective-knowledge doctrine allows a court to substitute the knowledge of the instructing officer to the acting officer. However, the officers did not communicate with each other, so the doctrine cannot save the search, and no officer had sufficient knowledge to justify a warrantless search. The Fourth Circuit found neither of the Government’s contentions that a Fourth Amendment exception applied here persuasive. Thus, the Fourth Circuit affirmed the district court’s judgment to grant Patiutka’s motion to suppress evidence.